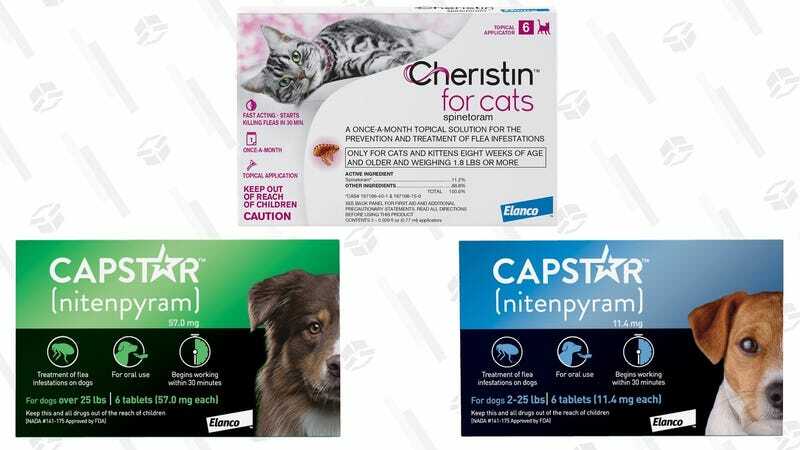 20% Off Select Flea Medication | Chewy | Discount shown at checkout. Limit 5 boxes. You don’t want to take chances with fleas, believe me. If you use Capstar or Cheristin flea medicine for your furry friend, Chewy wants you to stock up today for 20% off. Just add any of these medicines to your cart, and you’ll see the discount at checkout. Limit five per customer.